January 1, 2019, was more than just New Year’s Day this year. 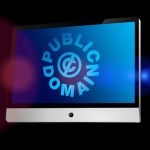 To researchers, educators, and artists everywhere, it was also “Public Domain Day”—the day on which every work published in the United States in 1923 entered the public domain. Novels, poems, music, paintings, and more from that year will now be publicly available in online archives such as HathiTrust and the Internet Archive as well as, I’m sure, many other sources, with new works from subsequent years up to 1977 appearing each January 1 (works published in 1924 will become public on January 1, 2020; works published in 1925 will become public on January 1, 2021; and so on). Those of us editors likely to encounter such works in academic or professional journals, fiction, and even marketing materials will have to do our due diligence, checking references and the need for citation. For better or worse, lines from Kahlil Gibran’s The Prophet, Robert Frost’s “Stopping by Woods on a Snowy Evening,” Noel Coward’s London Calling!, and Charlie Chaplin’s The Pilgrim, as well as Bela Bartok’s Violin Sonatas No. 1 and 2 can now be used with impunity. Understanding US copyright law is no mean feat, and I won’t go into it here (although if you geek out on such things, Cornell University has created a handy chart that sheds light on the topic). What we as editors need to know is whether our clients are properly attributing quotes, artwork, music, and video in the work they send us to edit. This post was written by Michelle Anderson, a senior editor at Dragonfly.